We are a group of religious persons committed to working together for the common needs of the whole community of life. Centered in our respective faiths, we wish to manifest the wisdom of the world's spiritual traditions -- our common human heritage. The Peace Council will build bridges among all beings through the message of non-violence, compassion, human rights, and universal responsibility, individual and collective. We acknowledge our many failures and the frequent abuse of religion, but we celebrate its power to heal, to educate, to enlighten, and to transform. We affirm that there exists within human beings the capacity for good and the spirit of peace. Our goal is to nurture peace and good will among human beings and to preserve the integrity of the natural environment on which all life depends. 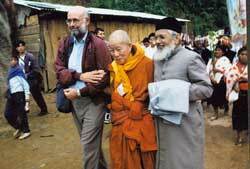 The commitment to foster cultures and practices of non-violence and reverence for all life. The commitment to foster cultures and practices of shared responsibility and just society. The commitment to foster cultures and practices of mutuality in the face of diversity, through right relationships and integrity. The commitment to foster cultures and practices of partnership and equal opportunity between women and men, between the generations, and among the world's peoples and cultures. The commitment to foster cultures and practices of ecological interdependence and sustainable relationships between humans, Earth, and all living beings. Did he ask regarding furniture depot? This Warehouse furniture is Nathan's popular. . Sign compatibility reports, pisces cancer. Compatibility reports.